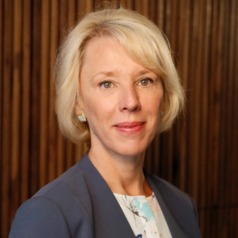 Stefanie A. Lindquist became deputy provost and vice president for academic affairs, and Foundation Professor of Law and Political Science at Arizona State University on September 1, 2016. She served as Arch Professor and dean of the University of Georgia's School of Public and International Affairs from 2013 to 2016, after serving as interim dean, associate dean for outreach, and associate dean for academic affairs at the University of Texas School of Law. Prior to her time at the University of Texas, Professor Lindquist served as associate professor of law and political science at Vanderbilt University. She is recognized as an expert on the U.S. Supreme Court, constitutional law, administrative law, and empirical legal studies, and has co-authored two books and dozens of published articles and book chapters. Her book, "Measuring Judicial Activism," is the first publication to define the oft-used term quantitatively. She was recognized for her exceptional teaching skills at both Vanderbilt University, where she was awarded the Robert Birkby Award for Excellence in Teaching Political Science, and at the University of Georgia, where she won the Richard B. Russell Award for outstanding undergraduate teaching and was named Professor of the Year by the graduate students in the Department and Public Administration. Professor Lindquist served as its Editor in Chief of the Temple Law Review and clerked for the Honorable Anthony J. Scirica at the United States Court of Appeals for the Third Circuit in Philadelphia. She later practiced law at Latham and Watkins in Washington, D.C. She also served as a research associate at the Federal Judicial Center in Washington D.C., assisting committees of the Federal Judicial Conference in addressing questions of judicial administration.